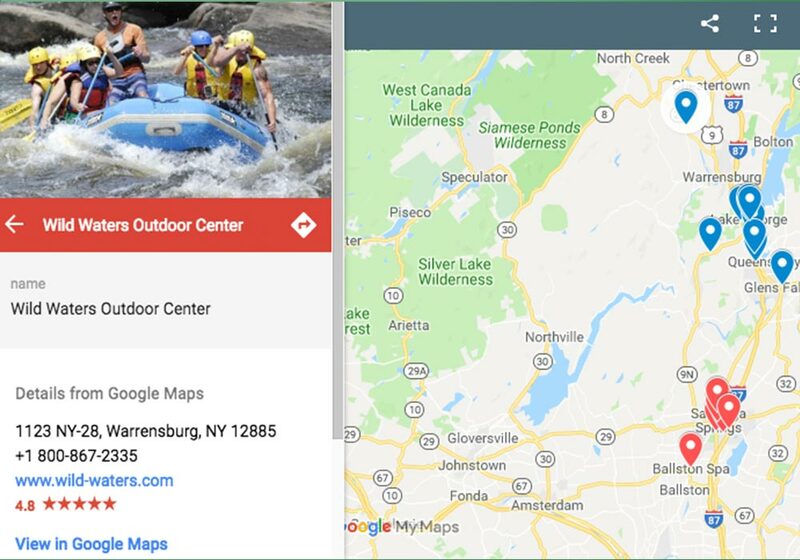 The Wild Center, as part of a grant from Empire State Development and a project with I Love NY, contracted Trampoline to conceive and brand an itinerary-based tourism initiative. 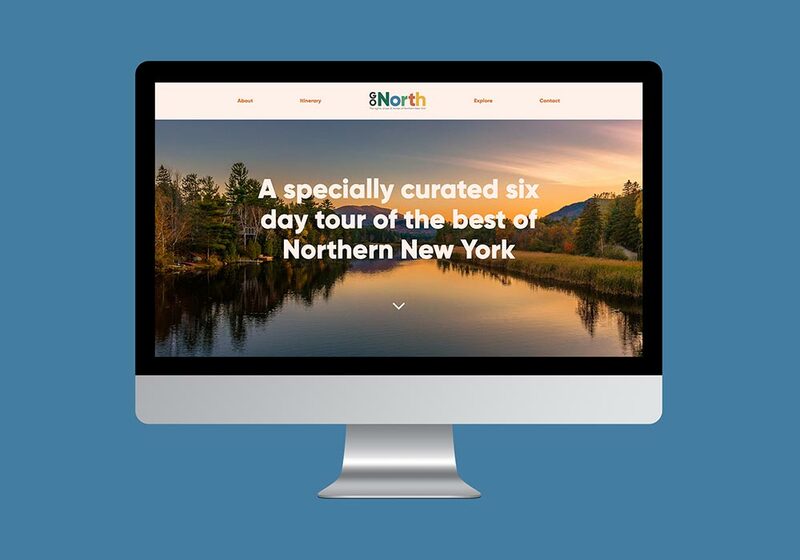 The goal was to put Northern New York and the Adirondacks on the map for international travelers. 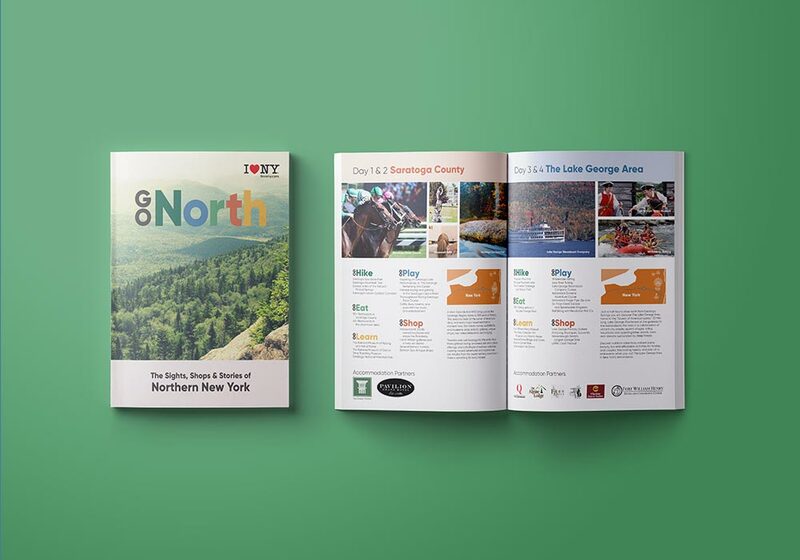 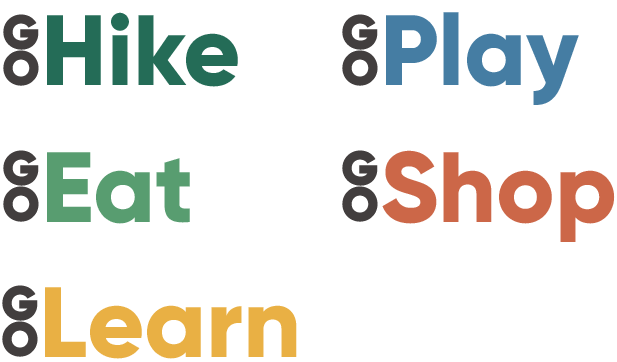 Trampoline created the name GoNorth to promote a tour that incorporated more than 20 tourism organizations and destinations along a corridor spanning Saratoga, Warren, and Essex counties, for group travel sold by international travel agents. 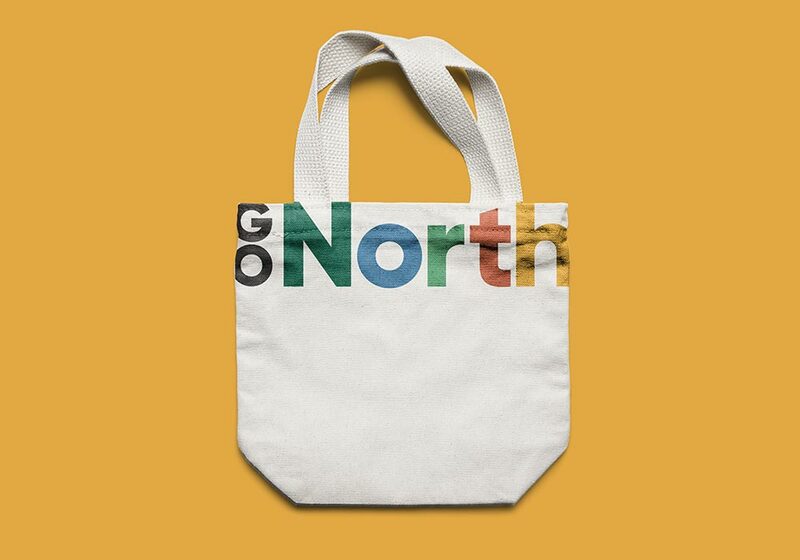 The complete suite included a custom map, website, iconography, copywriting, digital assets, as well as merchandise. 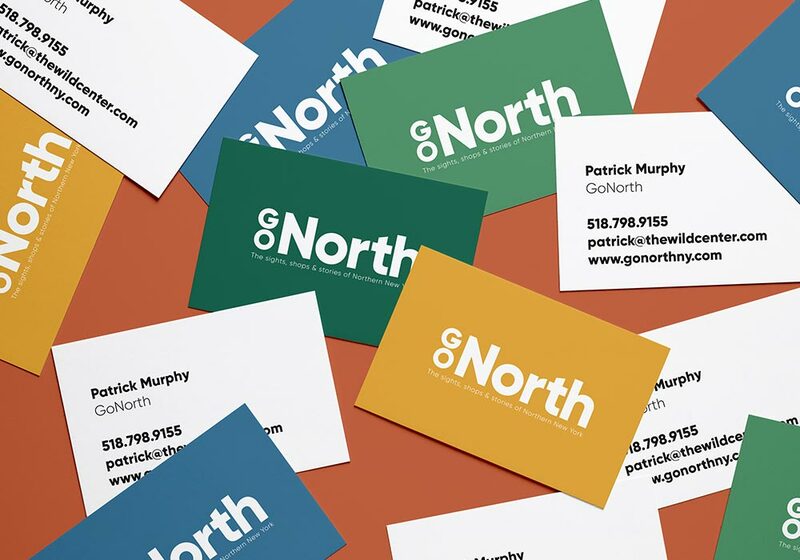 GoNorth was launched with great success at the U.S. Travel Association’s annual business conference IPW in Washington D.C.
GoNorth was not only my first project with Trampoline, it's easily one of my favorite projects I've worked on as a Tramp. 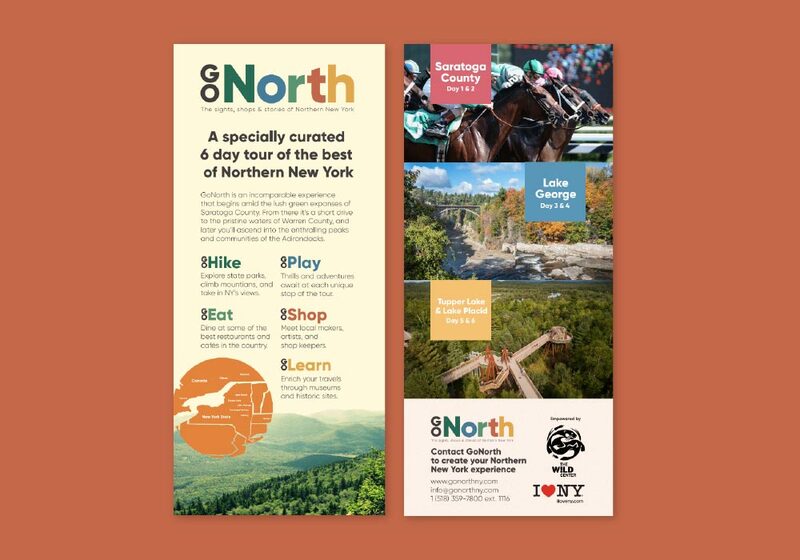 Creating a mark and collateral to increase tourism to the area was a fun challenge, the best part of which was seeing the look on the client's face when they saw we nailed just what they were looking for.